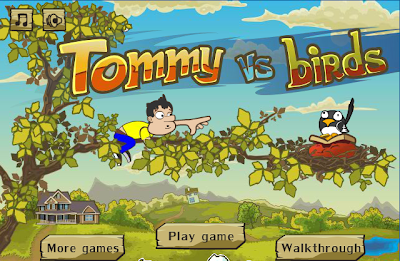 Tommy vs Birds is a fun adventure game. Greedy magpie stole a purse with coins. Tommy need help to get his coins back! Shoot blocks and collect coins. Complete 30 exciting levels. Solve 30 puzzles! Purse must be protected from birds. This game is free to play on StarfallGamer. Help Tommy to collect lost the coins! Play with mouse.